It is about time I share with you two quilts I made last year. Both were presents for dear friends having babies. I didn't share many photos on social media when I was making them, I did not want the recipients to know what I was up to. 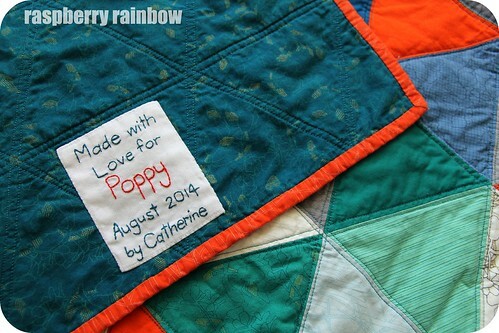 The first quilt was finished in August for baby Poppy. I wanted to make a quilt that their baby would grow into, that their child would be able cherish for years to come. It had to fit in their modern, bright, inner city apartment. The gender of the baby was not known before birth. These friends have their own wonderful style and flair. I wanted to add to this, not clash with it. 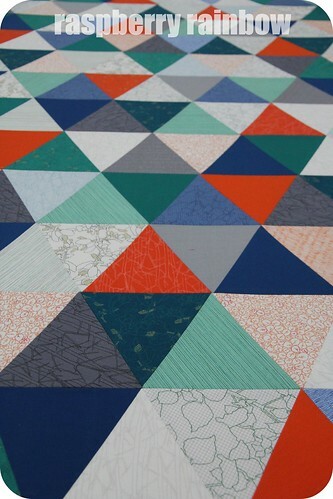 I thought hard and long and believed triangles would suit them and that the Carolyn Friedlander fabric range "Botanics" would be perfect. 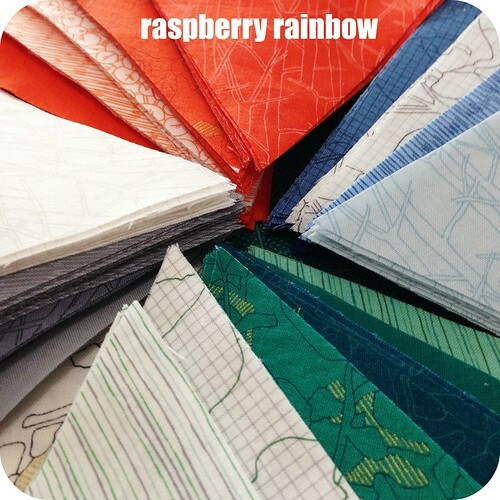 I added a few coordinating solids also. This is the 6th quilt I've made. It was my first time sewing triangles. 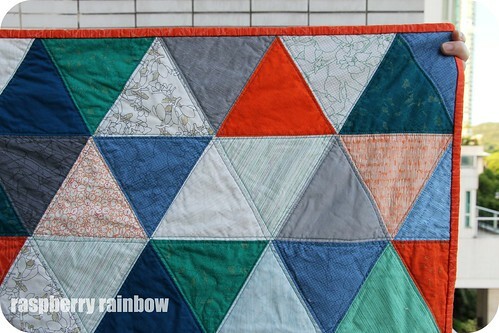 I quilted it myself in very wonky lines, outlining all the triangles. I love how the back of the quilt looks. 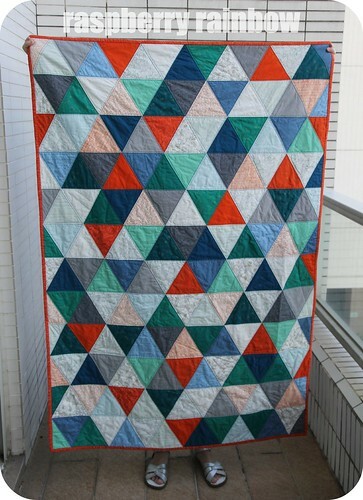 I learnt so much making this quilt. I learnt to embrace "wonky" even more. 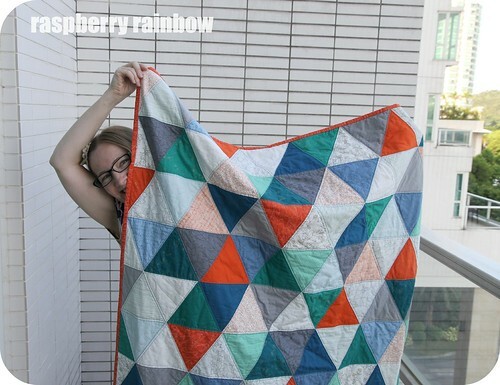 I loved making this quilt. It was made with love for our friends, their friendship means so much to our family. 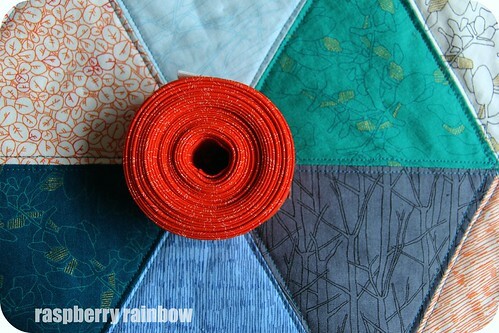 I love the orange binding, I feel it makes the quilt pop. It is quite big for a baby quilt, Poppy will grow into it. I can't wait for the adventures that Poppy and my girls will have together, in the future. I'll share the other quilt soon. Thanks Jennie, you know me, I take (too) many photos! Hello lovely Marianne! 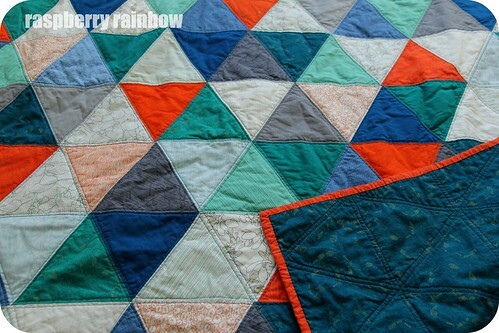 I must admit I wanted to keep this quilt for me, Poppy was lucky to get it.